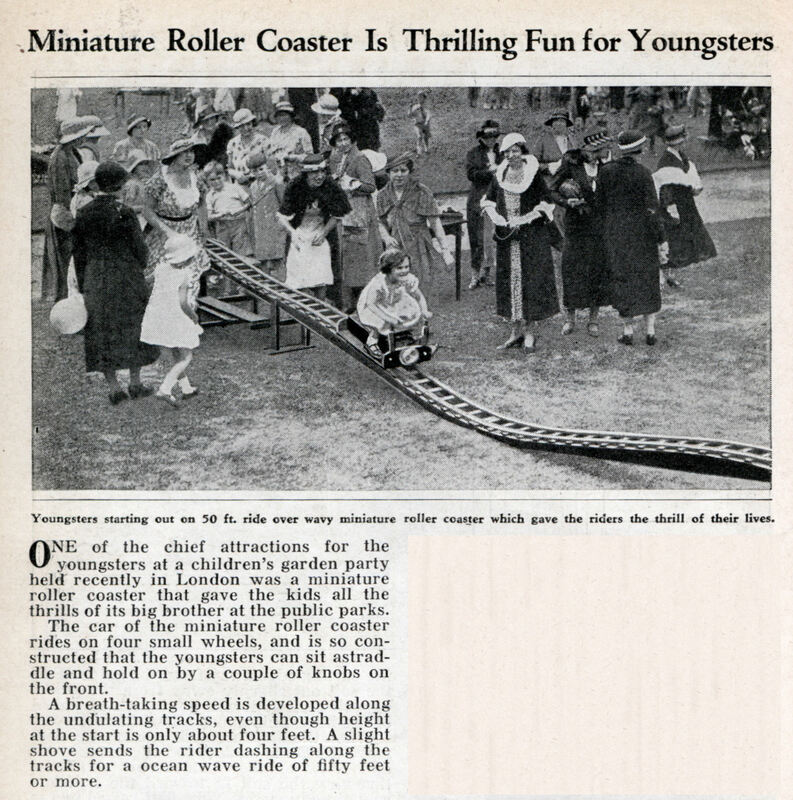 ONE of the chief attractions for the youngsters at a children’s garden party held recently in London was a miniature roller coaster that gave the kids all the thrills of its big brother at the public parks. The car of the miniature roller coaster rides on four small wheels, and is so constructed that the youngsters can sit astraddle and hold on by a couple of knobs on the front. A breath-taking speed is developed along the undulating tracks, even though height at the start is only about four feet. A slight shove sends the rider dashing along the tracks for a ocean wave ride of fifty feet or more.